There is a way of validating the theory - neurobiological observation. If a behavior occurs, is there a physiological response? Conversely, if one were able to produce the neurobiological conditions, would the emotional response occur? Implicit in the Opponent-process theory is the fact that there is a dialectic, that for every action, one should look for its opposite. Phenomena do not stand in isolation, but in a context, an environment consisting of what the phenomenon is not. As with any theory, one cannot say that this is "THE" explanation of how or why motivation occurs. How does one apply this unambiguously to leaders? When a person reacts to a stimulus, is it always certain that he or she will react as the opponent-process theory says, or could there be other factors that could produce a different behavior? There is a suspicious similarity with the Reversal theory theory, and one can wonder whether the effort to make this Opponent-process theory unique is simply an effort to make superficial distinctions. The ensemble of Opponent-process theory, like so many other theories cannot be posited as THE process that motivates leadership. At best, it can be regarded as one of a possible range of processes. The opponent-process theory of leadership says that a leader stimulated either positively or negatively will have an opposite reaction once the stimulus is removed. Repeated stimulation in the same manner will cause an enduring reactive effect. This theory is based on an observation made by Ewald Hering(1920-1964) that states a person will see a different and complementary color emerge on a white sheet of paper once the original and primary color is removed. 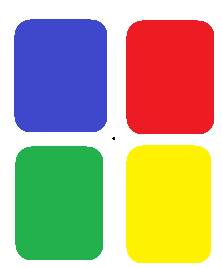 After about 30 seconds, one switches the gaze to a white piece of paper, and there will be seen a substitution of blue for yellow and green for red, and vice versa. The eyes' photoreceptors are fatigued and the complementary colors, the ones opposite of the primary colors originally seen, emerge. Photoreceptors are linked as blue/yellow, red/green and, black/white. When one is activated, the other is inhibited. When the original stimulus is cut off, the opposite effect occurs. The two original proponents of the modern version of the opponent-process theory, Solomon and Corbit, set forth in 1978 what can be regarded as a complete explication of their opponent-process theory in an article entitled "An Opponent-Process Theory of Motivation ". They present two examples of persons experiencing situations, one at first traumatic, where a women discovers a lump on her breast, ultimately being told by her doctor that it is a benign sebaceous cyst, and the second where a couple is having a pleasurable experience, only to be interrupted by a phone call. When either a negative or positive stimulus is introduced, an affective or hedonic reaction begins and quickly rises to a peak. It then slowly declines to a steady level where it remains if the stimulus quality and intensity is maintained. "Hedonic" refers to "hedonism", that which is pleasurable or painful. When the stimulus is suddenly withdrawn this reaction ceases rapidly and is followed by one of opposite effect, which then peaks and fades with time. The authors call our attention to five aspects of this figure . The peak of the primary affective reaction is caused by the stimulus. There is time period during the hedonic or affective adaptation which there is a decline in the intensity of the hedonic state, although the stimulus remains. There is a continued steady level of the hedonic process while the stimulus continues. Once the stimulus ends, there is a "peak of affective after-reaction". This is somewhat confusing, as there is "peak" really is a dip below the horizontal line. However, it is to be noted that this dip is exactly the opposite that of the upward peak of the primary hedonic state. The "decay" of the "after-state", or "after-reaction" means that the mood returns to normal, i.e., the baseline of 0. This explains the two examples at the beginning of their paper. Upon removing a positive or negative stimulus, a reaction opposite to the stimulus occurs and then wears off. The woman with possible breast cancer is relieved once informed that it isn't and this period of elation gradually wears off. Similarly with the couple, the negative feeling wears off after the telephone rings. Solomon and Corbit provide an extension to their opponent-process theory in explaining an experiment in which a dog is repeatedly shocked, the initial response after the stimulus is removed being one of stealth and hesitancy, this reaction slowly receding. For the first few times, the dog rapidly experiences panic and terror, but as the experiment continues, the dog adapts somewhat, with a slow acceleration of reaction and rapid decline of it, the ultimate reactions being annoyance. For the short term, the effects of a hedonic withdrawal are minimal, but with time, the effects are enduring. We now know that the brain's neural structure undergoes "training", where it accommodates an experience. For example, depression is "learned" and becomes a part of everyday organic functioning. So it can be said that one adapts or even becomes addictive to a hedonic stimulus, and once it is withdrawn the long-term effects are more intense, i.e., withdrawal. Other biological examples include bi-polar disorders and binge eating, followed by anorexia nervosa (self-induced starvation). So, how does all this relate to Motivation Theories? First, one might apply this information in being able to describe the "why" of some behavior. If a leader experiences euphoria, we might be able to predict what type of reaction or behavior can be expected afterward. One might have predicted, for example, that Hitler was going to invade the USSR, given his string of victories in Czechoslovakia, Poland, and France. While it was ostensibly true that there were military victories, there were emotional ones as well, and it might be argued that Hitler's had addictive behaviors. Somewhat of confirmatory evidence, as it is well known that he was a drug addict . Opponent-process theory also is dialectically-oriented, where there is set forth a phenomenon, and the opposite occurs when the first disappears. That is, something is apprehended in terms of what it isn't. There has to be a contrast in order for something to exist. Hence, when some event occurs that is positive or negative, one might expect "the other shoe" to drop. As an application, one can try to get a person to do something by create the opposite emotion, and conversely. To stop a person from doing something stimulate the opposing feeling. If one want to grab too much authority, ensure that negative consequences occur, such as loading the person with attendant responsibilities and obnoxious detail, or creating opprobrium from the "ruled". One the pressure of authority is removed, the person will experience relief. First, the reader should reference the Reversal Theory of Motivation and read it in conjunction with this one. The striking similarities should cause the reader to pause and think about the nature of all these motivation "theories" in terms of what they contribute to the body of knowledge. Second, the word "theory" has a special place in investigatory research, in particular, the scientific world. A theory is an explanation based on observations obtained by testing hypotheses about how a phenomenon comes about. One should question the integrity of any theory on this basis. Is it merely a set of opinions culled from subjective observation of a number of individual cases, or is the information obtained after a series of controlled studies in which the observer can account for an effect by analyzing quantified information within the context of an appropriate experimental research instrument, or design. What we say here can be largely applied to Reversal Theory of Motivation. Motivation Theories abound, and this opposing process one is just another addition, with many more expected to come. To have a broad-based understanding of the "nature" of motivation, one needs to consider this one as well, keeping in mind the classic tale of numerous blind people crawling all over an elephant, attempting to tell what it is. One person may grab hold of the tail, thinking it is a snake. Another might touch the ear, thinking it is a manta ray. All of these impressions come together, many contradictory but telling of an essence that is detected. So it is with the many perspectives on motivation. No one theory can describe what it is, but over time the collection will advance us to a better understanding of the whole picture. More particularly, the theory focuses on one neurobiological aspect, color, and attempts to extrapolate from this a general theory of how we process phenomenon. However, Solomon and Corbit seemed to have discovered numerous examples in which the theory seems to have validity, as in the parachutists. More wide-ranging situations should be studied before there can be a general application. For example, what of how decision makers act when under various emotional stresses? A problem arises here of experimenting under controlled conditions. How does one isolate the variable of emotion from others that might be present and equally causal? In the case of Hitler, for example, there seemed to be the objective reality of there being military successes, and this may have been the principle factor in his ultimately perilous rumble towards the Soviet Union.